David Macdonald has served in CEO and COO roles for over 25 years, most recently as the CEO at Agendia, and formerly as a Division President, COO and Vice President at Quest Diagnostics. 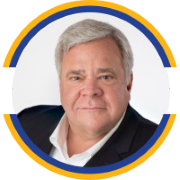 He has an extensive successful track record in M&A integration, fundraising, strategic planning, and business plan execution in complex life science companies, large and small, public and private. 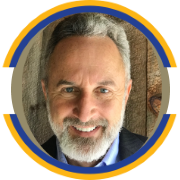 Mr. Macdonald has been an invited speaker at a variety of industry events and has served on several industry Advisory Boards such as the Siemens Healthcare Diagnostics Strategic Advisory Board and California Med Tech Advisory Board. He has also held Board of Director roles at AdvaMedDx and the AdvaMed Emerging Growth Company Council (EGCC). 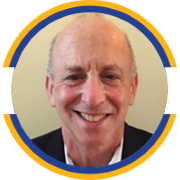 David is a results-oriented, decisive leader with proven biotech industry expertise in wide variety of medical diagnostic systems, molecular diagnostics, personalized medicine, pharma collaboration, medical devices, research products, and laboratory services. He holds a BSBA degree in Management and Finance from Northeastern University and an MBA degree from Babson College with a focus on Marketing and Entrepreneurship. Before founding First Light Diagnostics, Don founded Rapid Micro Biosystems, a successful commercialization-stage venture-backed company. At both companies, he identified the target markets, invented the core scientific technology, built the founding teams, developed the product concepts, built IP portfolios, and led the development of product prototypes. He was Asst. Prof. (Brandeis U.) and earned a Ph.D. at Harvard (W. Gilbert) and a B.S. in Chemistry at the University of California (Berkeley). 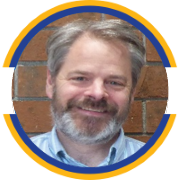 Joe Turgeon has been helping companies to commercialize and achieve operations excellence for more than twenty-five years, with a specific focus on product development, manufacturing and quality assurance for medical devices and diagnostic systems. This includes extensive start-up as well as large company experience in automated immunoassay diagnostics, lab-on-chip diagnostics, DNA sequencing, automated microscopy, wearable ultrasound therapeutic systems and automated disinfection equipment. Joe is a goal-driven leader that thrives on challenge and enjoys building and mentoring high performing teams. Joe’s experience includes; Dade-Behring Diagnostics, Quest Nichols Institute Diagnostics, 454 Life Sciences, Ikonisys, Zetroz and PCI Medical. He earned his Bachelor of Science in Manufacturing Engineering from Wentworth Institute and is a former U.S. Army Combat Engineer. Mike Ellis previously served as the company’s acting CFO in a part time capacity for 4 years. 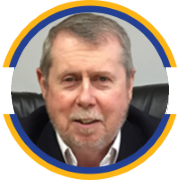 He is a senior financial executive & attorney with over 30 years of financial and operational experience in the manufacturing and service industries. He has expertise in strategic and operational planning, cash management, technology licensing, budgeting and forecasting, cash management as well as debt and equity financing. 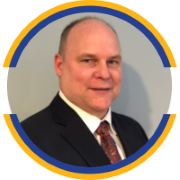 Mike’s industry experience includes medical devices, high tech, R&D, software, and telecommunications. Jayson leads the assay development and science groups at First Light. Prior to joining, Jayson held leadership positions at 4 startup biotechnology companies including Helicos Biosciences, BioScale, and Sample6 where he was responsible for the development and commercialization of a variety of diagnostic technologies and assays. Jayson was a Howard Hughes Fellow at MIT and received his Ph.D. in Biochemistry and Molecular Genetics from Cornell University. Andrew Connerty is a tactical and results-oriented Quality Systems professional with proven success forming effective quality departments and deploying compliant quality systems for a broad range of Medical Devices, Invitro Diagnostics, Biologic, Bio-absorbable devices, and Life Science Products (Instruments and consumables used for dPCR, Genomics, Targeted DNA Sequence Enrichment). 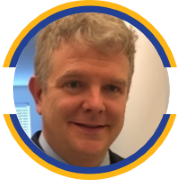 Andrew’s competencies include the planning and implementing Quality Systems strategy – QS Deployment Integration and/or Separation Projects. Performing Quality Systems due-diligence on Merger & Acquisition projects. Ability to effectively connect to drive change management within a matrix and diverse organization and with business partners. Andrew joins First Light Diagnostic by way of these distinguished organizations: Johnson & Johnson, Confluent Surgical, SeraCare Lifesciences, RainDance Technologies, and Bio-Rad Laboratories. Andrew earned his Mechanical Engineering degree from Wentworth Institute of Technology. Bruce Walsh leads the development of First Light’s products. He has more than 25 years of executive engineering management experience. Bruce was CTO at Spectel where he led a 100-person team and delivered strategy and products that led to the $103M sale of the company. As VP of Engineering at Data Translation, Bruce developed a critically acclaimed video product. He has a MSEE from Northeastern University and a BSEE from WPI.